Thursday, February 28, 1:00 – 3:00 p.m.
Haverhill Regional Office, 151 Essex Street, Haverhill, Mass. 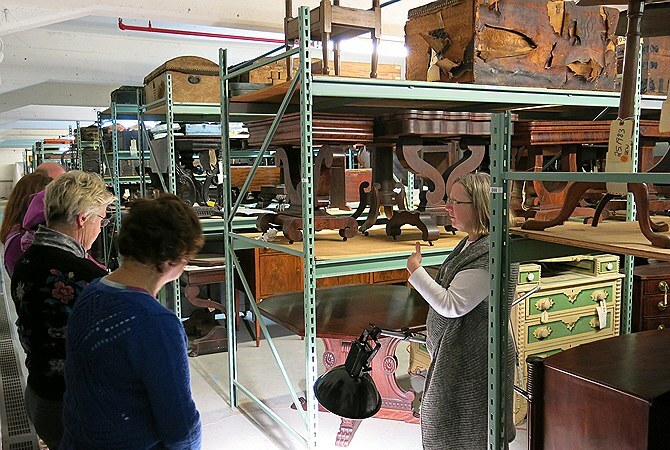 Join Historic New England staff for an exclusive look inside collections storage and the conservation lab. See some of our favorite paintings, needlework, costume, ceramics, and furniture, and learn about current conservation treatment projects. Go inside the newly renovated, state-of-the-art space that houses our extensive decorative arts collection.